Fox & Fiddle Kitchen & Bar | Oh No! Not Another NYC Food Blog! Pub grub in the Upper Upper East Side. 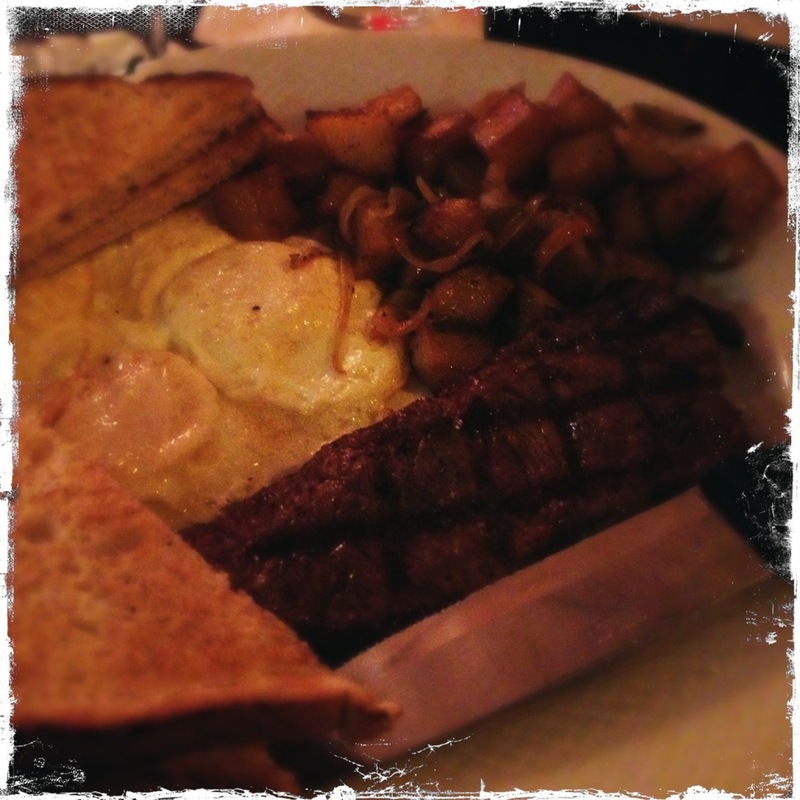 I had the Angus NY sirloin steak with 2 fried eggs and home fries. Perfectly cooked steak – the eggs were, however, cooked to death with no seasoning. I was happy with dish overall, but my DH’s pie was the winner. 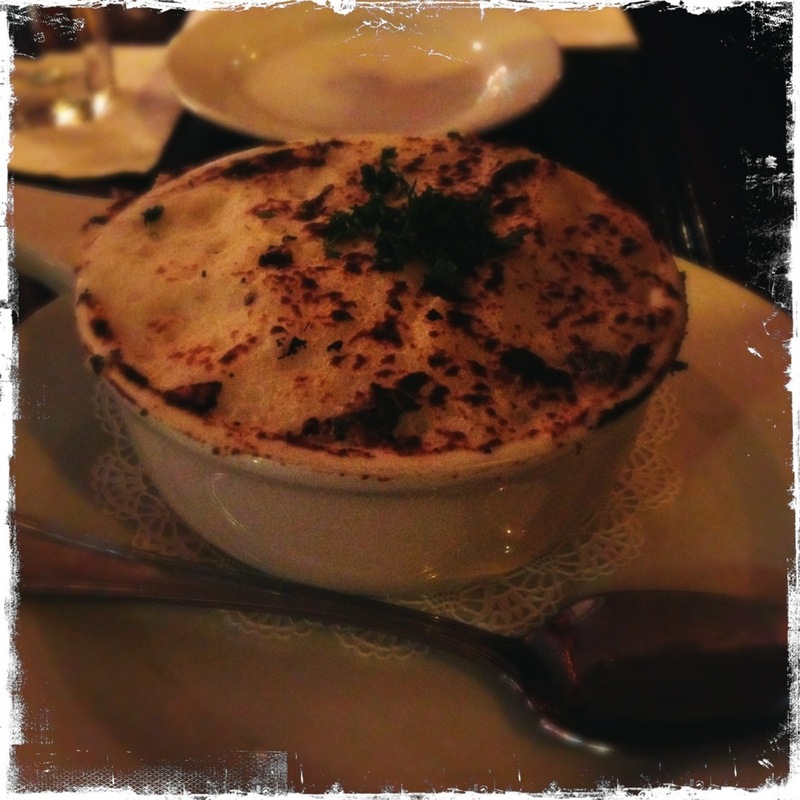 My DH had the Shepherds Pie – beef carrots onions peas and Parmesan crusted mashed potato with gravy. This was a stellar pie – good mix of veg to beef, really good taste, wholly satisfying. Cute old school pub feel with dark woods, lots of mirrors, and black & white flooring. Good music – Nirvana, greatest hits from the late 90s/early 00s. Decent service for a Saturday afternoon from our Irish-accented waitress. A good find. Definitely worth checking out again if in the neighborhood.